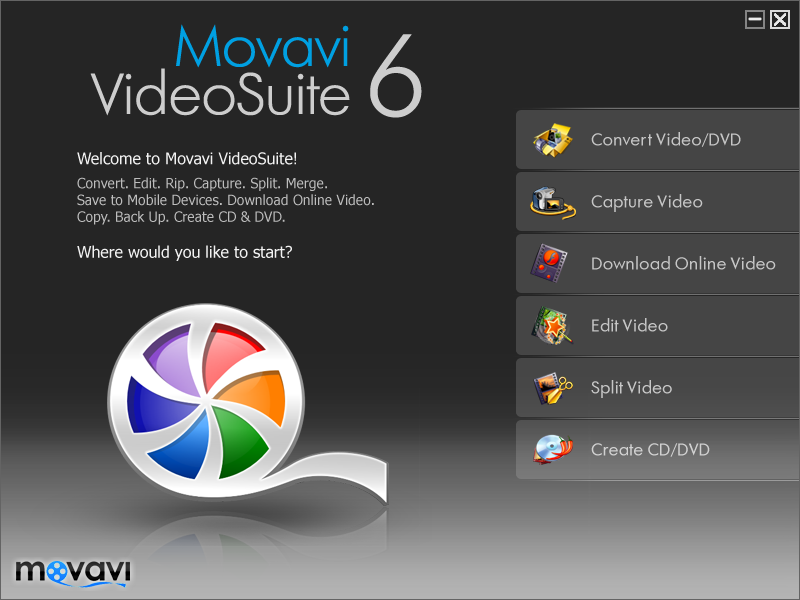 Movavi VideoSuite gives you SIX amazing video tools in one package. Convert video - including HD - to any formats and devices. Rip & copy unprotected DVDs. Capture video. Record screencasts. Download online video. Split & join video. Edit video on a timeline. Insert transitions, add or record soundtracks, add text titles. Apply artistic effects, improve video quality with filters. Create image slideshows. Burn CDs & DVDs. Create ISO disc images. Qweas is providing links to Movavi VideoSuite 6.1.4 as a courtesy, and makes no representations regarding Movavi VideoSuite or any other applications or any information related thereto. Any questions, complaints or claims regarding this application Movavi VideoSuite 6.1.4 must be directed to the appropriate software vendor. You may click the publisher link of Movavi VideoSuite on the top of this page to get more details about the vendor.